C is a procedural language. It was designed to be compiled using a relatively straightforward compiler, to provide low-level access to memory, to provide language constructs that map efficiently to machine instructions, and to require minimal run-time support. You will be able to read and write code for a large number of platforms — everything from microcontrollers to the most advanced scientific systems can be written in C, and many modern operating systems are written in C.
The jump to the object-oriented C++ language becomes much easier. C++ is an extension of C, and it is nearly impossible to learn C++ without learning C first. 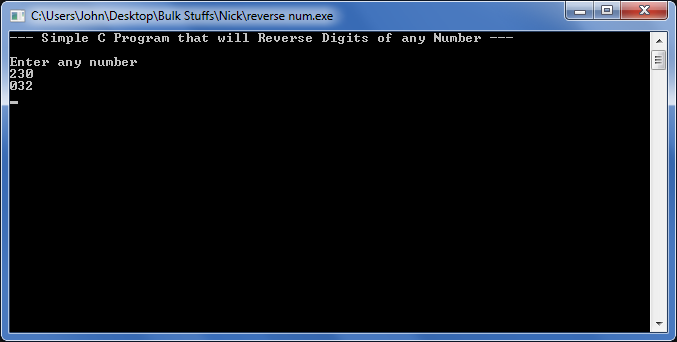 In this post, I am going to write a program that reverses a number or digits Using C, a very basic and commonly asked question in interviews and exams.